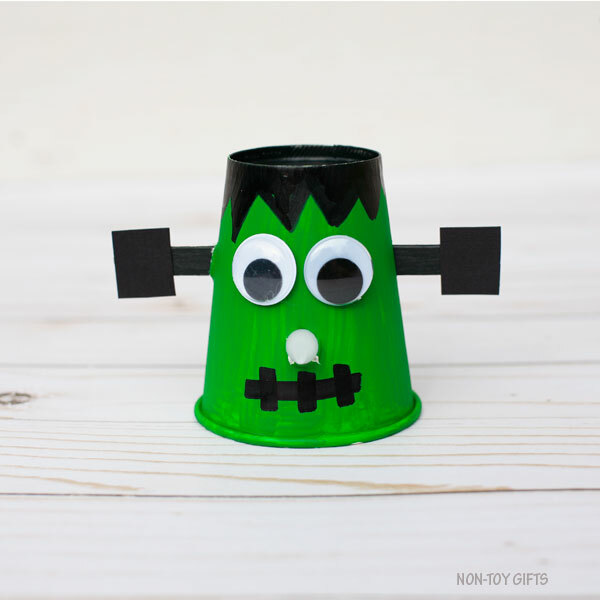 If you’re looking for a fun Halloween craft to make with or for your kids, this paper cup Frankenstein with glowing nose will be a hit. 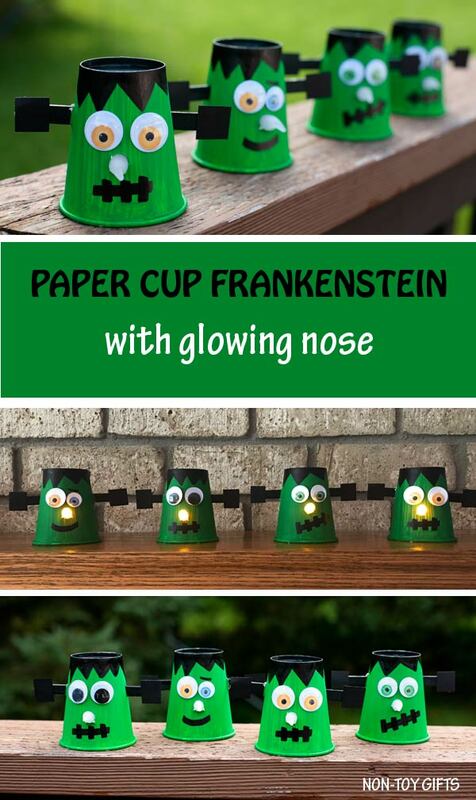 No spooky Frankenstein – but a funny one with a nose that glows in the dark. 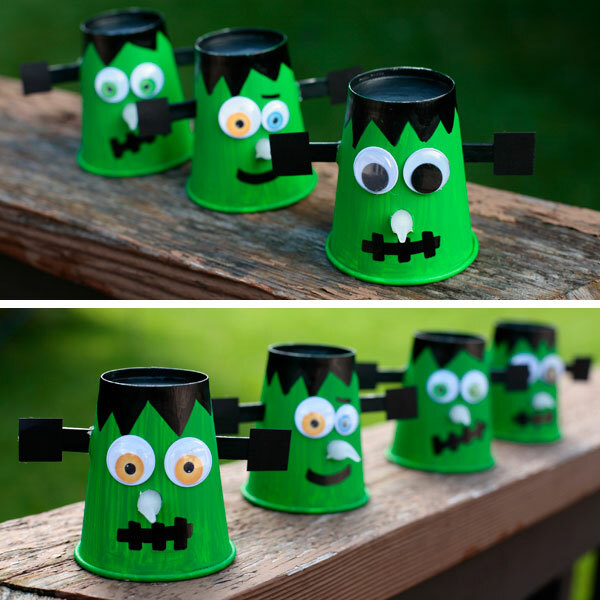 Kids can handle most of the craft on their own, though there is also an adult only step. 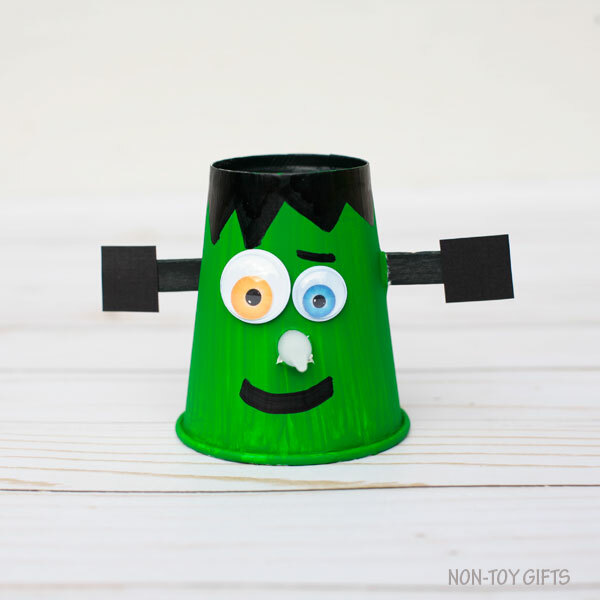 Craft, play and decorate with Frankenstein. 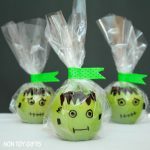 You can create a classic Frankenstein with black eyes and a frown look. 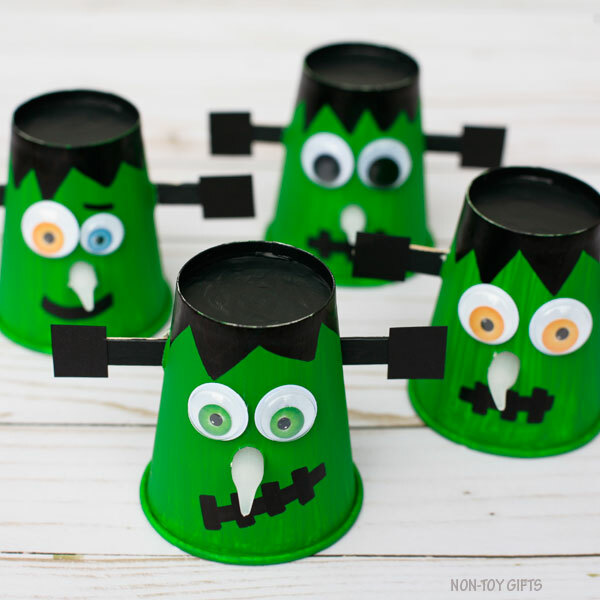 But feel free to also use Halloween googly eyes(they are so much fun) or make a smiley face to your little monster. 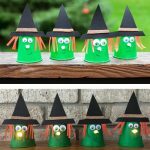 We have an entire collection of Halloween characters with glowing noses by now: witches, ghosts and Jack’O’Lantern pumpkins. We keep them by the fireplace and my oldest loves to organize them everyday. 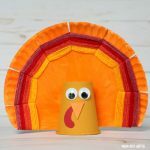 He stacks them or place them into a pattern. His little brother, on the other hand, will mix them up in no particular order. We have quite a collection and we’re not stopping here. 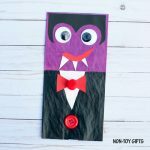 Vampires are on our list and maybe also some skeletons. 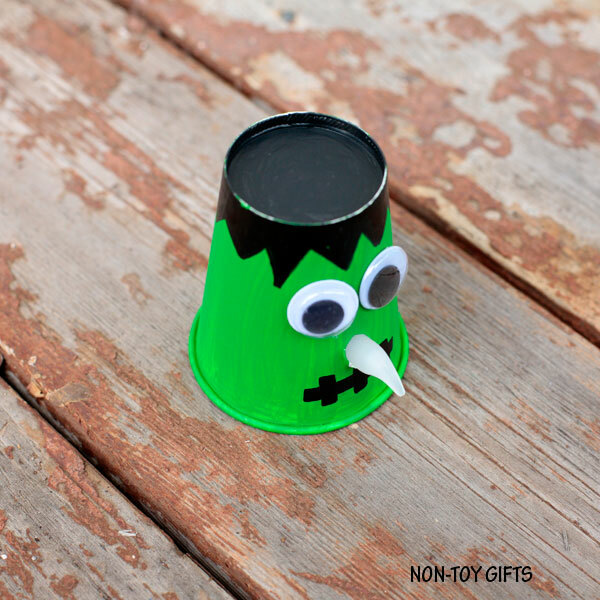 We sure love Halloween crafting. With so many characters to choose from, there is always something new we can come up with and make. 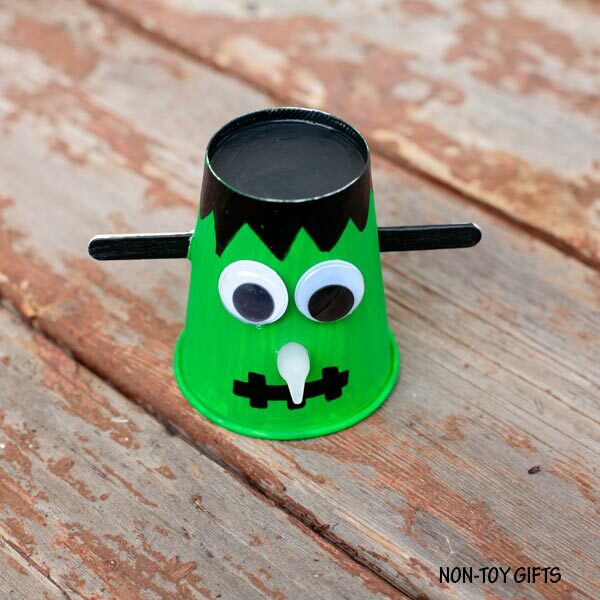 This builds up our excitement for Halloween, which is a big holiday in our family. 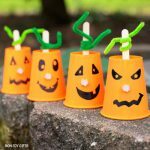 The kids look forward to mom making their costumes and they like to check the progress I’m making every day after they come back from school. It takes some planning making costumes for the entire family so I already started working on them in September. 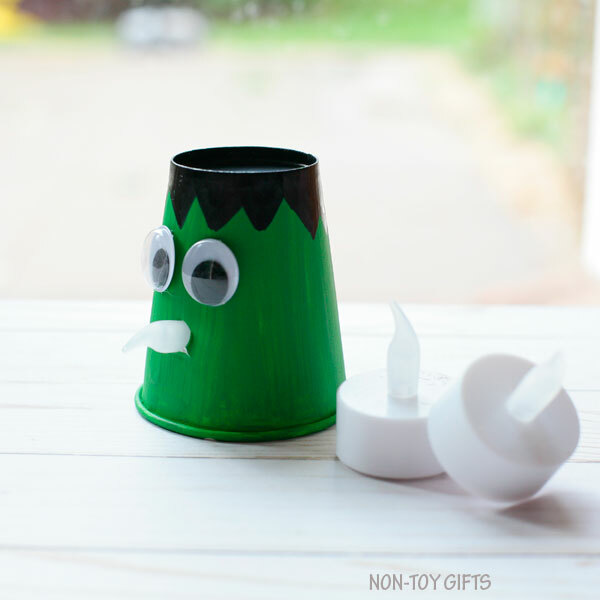 Start by painting the paper cup green and the top black. 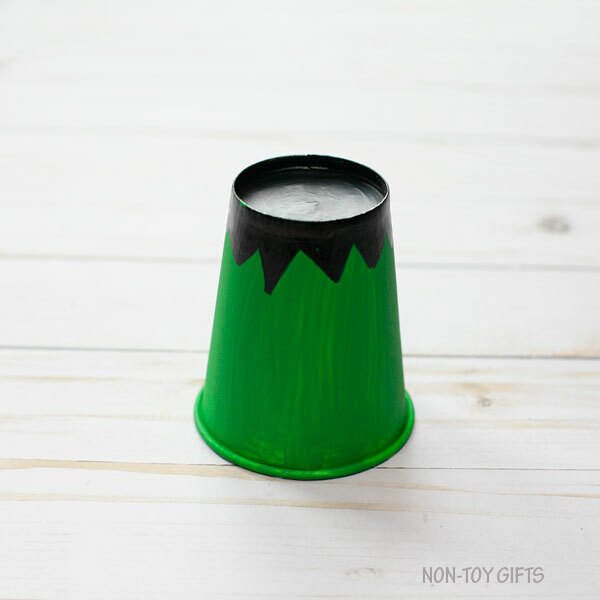 If you’re crafting with young kids or if you’re using it as a classroom craft and prefer to skip the painting step, you can go for green paper cups. 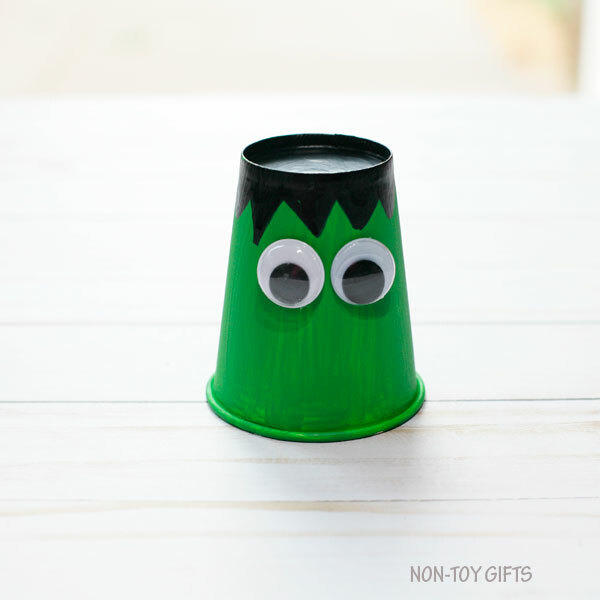 In this case, leave the top of the paper cup green or use a black marker to turn it black. Before we move on any further, let’s paint a craft stick black, too. 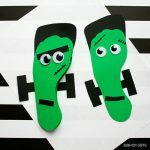 Once the paint is completely dry, we can draw Frankenstein’s hair with a black marker. Glue the googly eyes under the hair. 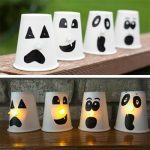 Use a pencil to poke a hole right under the eyes, and slide the flameless tealight through the hole, from the inside the cup. 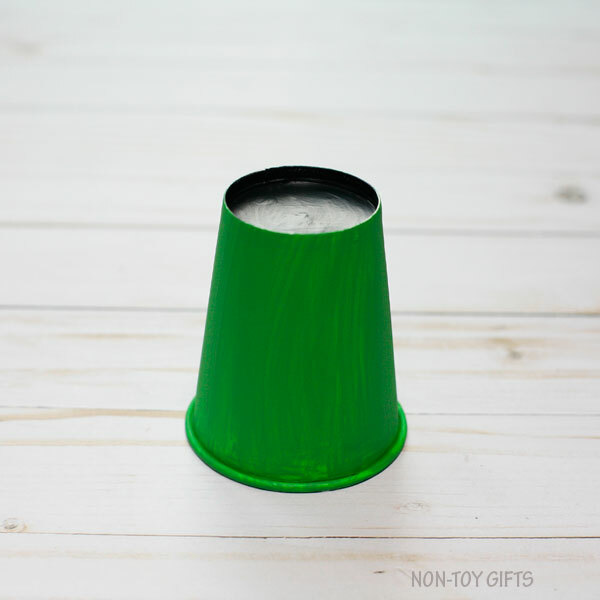 Make two small slits on each side of the cup. Because you will need to use a sharp craft knife, this is an adult only step. Slide the black craft stick through the two slits. 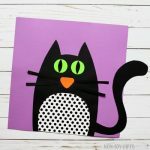 Cut two little squares from black cardstock paper and glue one at each end of the craft stick.